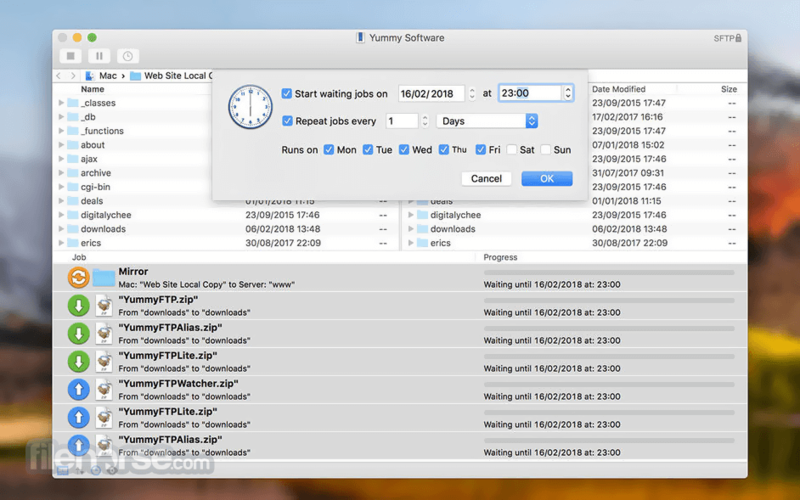 Yummy FTP Pro for Mac is an easy to use, yet powerful FTP/S + SFTP + WebDAV/S file transfer app exclusively built for Mac Whether you need to transfer a few files or a few thousand, schedule automatic backups, or perform website maintenance, Yummy FTP Pro will handle it with ease. 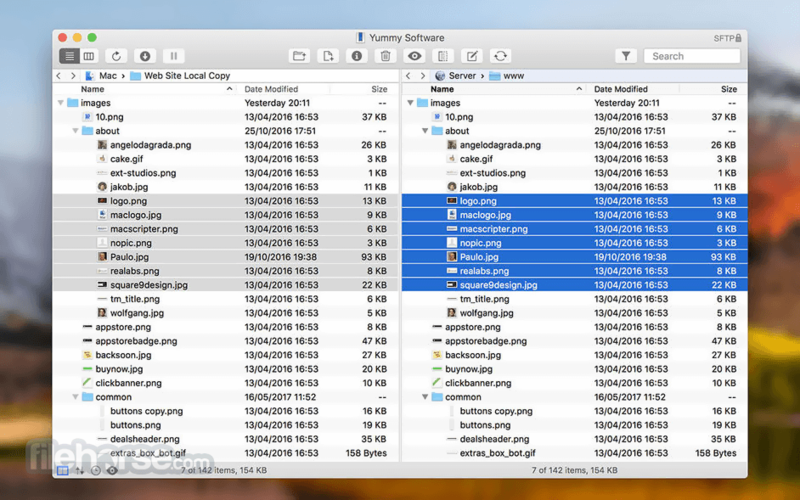 A fully fledged Bookmarks manager allows you organize your Bookmarks into folders, create, edit, rename, delete and duplicate them - you can even import the Favorites & Bookmarks from most other major Mac FTP apps. 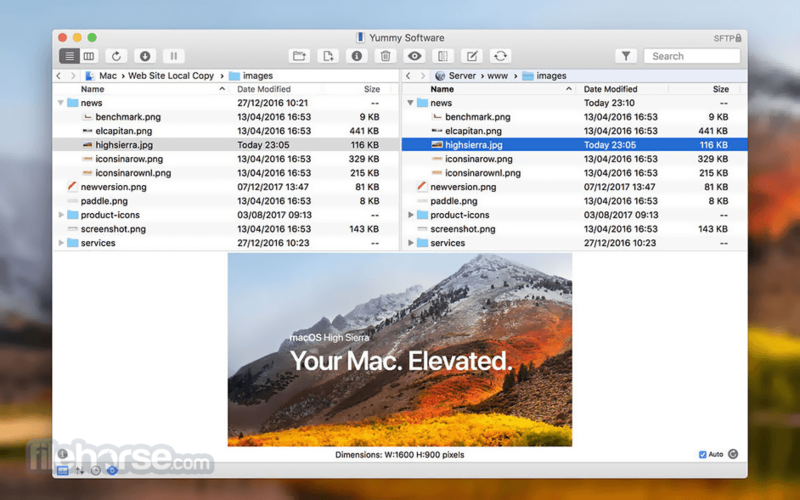 Once set up you can automatically sync your FTP settings to all the Macs you use with the built-in Dropbox, Google Drive and iCloud Drive Bookmark sync support. 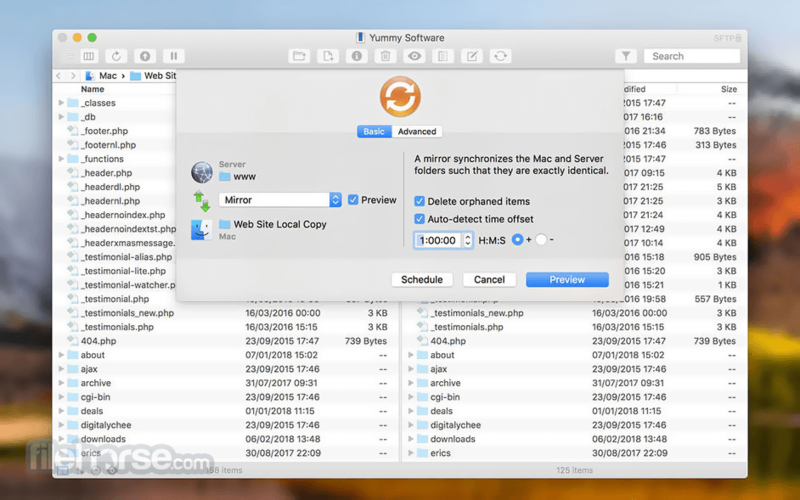 The easiest, quickest and slickest way to upload files and folders! 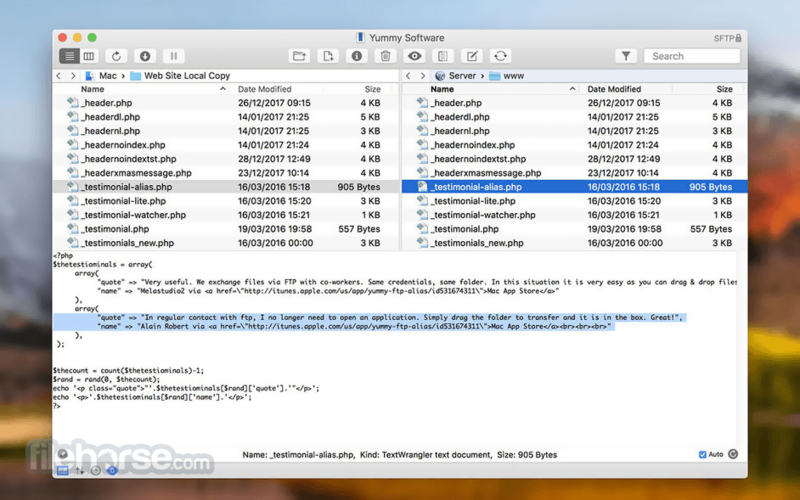 An FTP Alias can have files and/or folders dropped onto it in the Finder, or even in the Dock, to upload those items using a predefined Bookmark and destination directory. Creating an FTP Alias is as easy as navigating to the upload directory you require and then choosing 'Save As FTP Alias'. It's really that simple! ...What's more, there is the option to Zip before uploading and even copying the remote URL to the clipboard ready for pasting!